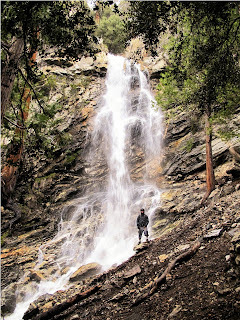 This is my list of my 10 favorite hikes in the Los Angeles/Orange County area. Most of these are less than a 90 minute drive from the heart of LA. Click on the text for more information. These hikes are a bit futher away, but within driving distance for a short 2 day weekend trip from the LA area. This is a cool list of hikes on a great blog I found. This guy even has a list of his favorite breweries and a section just for waterfalls. I added the Devil's Punchbowl, Anza Borrego, and Cowles Mountain to my "to-do" list.